The Hollywood Reporter has shared a photo revealing that the Batman v. Superman: Dawn of Justice director makes a cameo as an allied soldier in the Wonder Woman solo film. 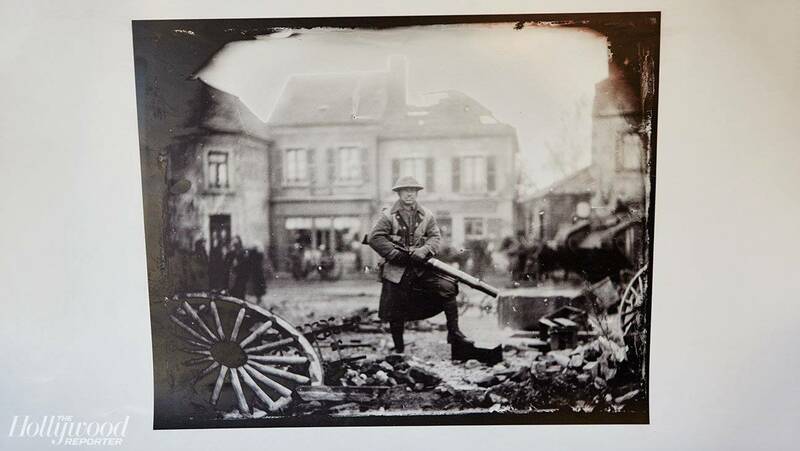 "Look closely, and you might recognize Zack Snyder on the World War I set of Wonder Woman," THR reports. "He was an extra in the movie." Snyder must really like playing a soldier because this is the third time he has done so. He made a cameo in 2009's Watchmen as a soldier fighting alongside The Comedian in Vietnam, and in 2004's Dawn of the Dead he appeared as a soldier at the White House. The film stars Gal Gadot in the role of Diana Prince/Wonder Woman and Chris Pine as Captain Steve Trevor and Trevor's grandfather. It also stars Robin Wright, Danny Huston, David Thewlis, Ewen Bremner, Saïd Taghmaoui, Elena Anaya and Lucy Davis. Wonder Woman is being directed by Patt Jenkins (Monster, AMC’s The Killing). Wonder Woman will hit theaters June 23, 2017.